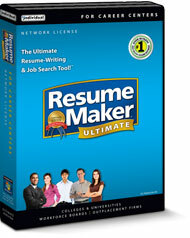 The Ultimate Resume-Writing & Job Search Tool! To request a quote for ResumeMaker Ultimate for Career Centers, enter your contact information and the number of workstations. Click the "SUBMIT" button at the bottom and a member of our B2B Sales Team will contact you with a quote. ResumeMaker, Resume Maker, Individual Software, and the Individual Software logo are registered trademarks of Individual Software Inc.